1st HONG KONG TEM AXÉ!! Stay tuned and get ready for our 1st Hong Kong tem Axé 2018 – Batizado and Belt Exchange, held in October 5, 6 and 7. ​Mark it down these dates, our capoeira event is soon!! 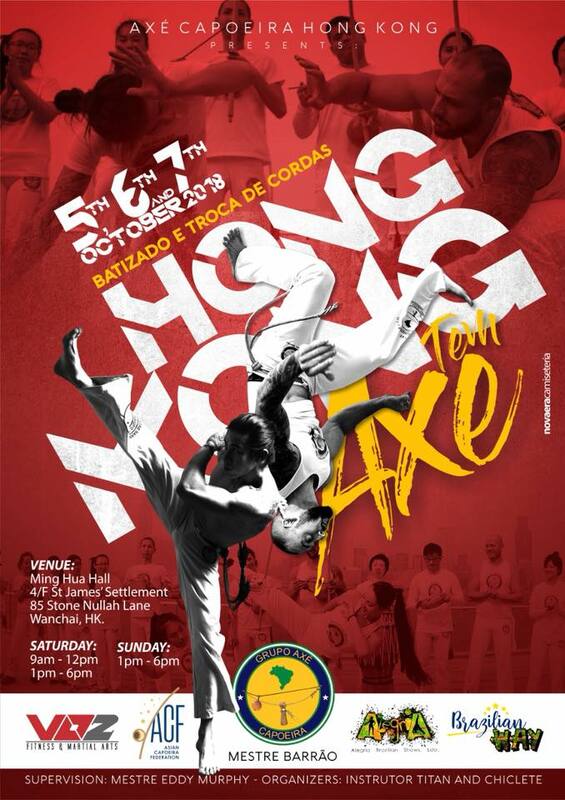 Grupo Axé Capoeira Hong Kong invites you to join us for a weekend full of ENERGY, TRAINING and RODAS! – The graduation ceremony (BATIZADO & TROCA de CORDA) on Sunday, October 7th 2018. Hong Kong Students: register in person with Instructor Titan, Chiclete or Raça. More information will come soon! Stay tuned!